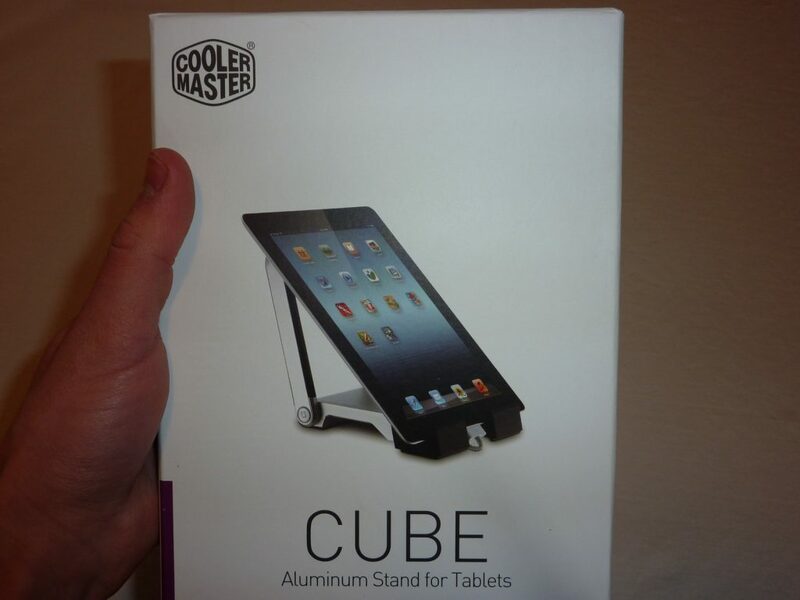 The Cooler Master Cube is one of the most high-end iPad/Tablet stands on the market. Even though Cooler Master has focused mainly on computer peripherals and cases, they are expanding to include laptops and mobile accessories. The Cube is one of the most promising products of their new line, so let us see how it performs. The stand is made of rubber and aluminum and weighs 22 ounces, lending itself a more commanding presence which it’s competitors lack. The added weight of the stand not only reduces the chances of the the Cube falling over, but also gives the feeling that it is not a flimsy product. Because the Cube opens up to 135 degrees it is relatively comfortable to type on, however it would have been nice to have the option of opening the Cube to different angles as the restriction to 135 degrees limits the location on which a user can place the Cube. Not only do the materials make the Cooler Master Cube heavier but they also add to the overall aesthetic of the stand. Just by glancing at the product you can easily tell that it is of extremely high quality. The hinges are a bit stiff so opening the Cube does have some resistance but not enough for it to actually be annoying. 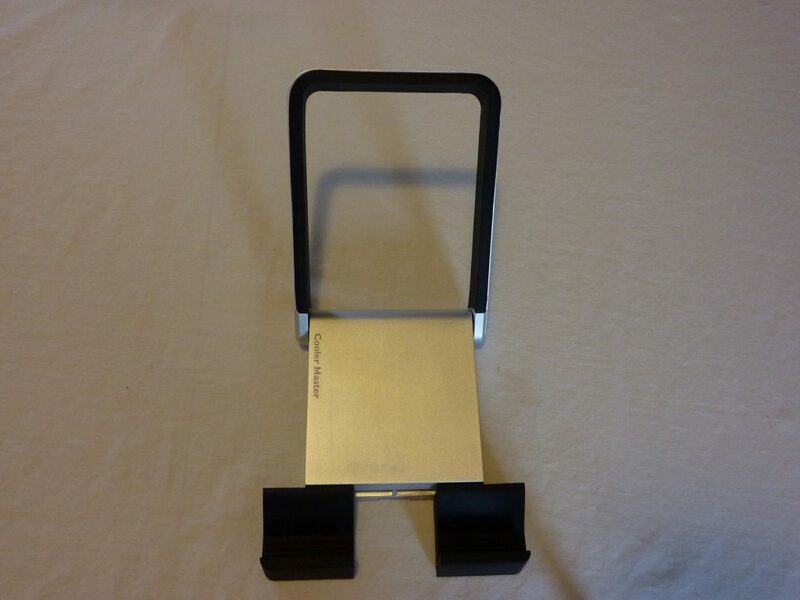 When it comes to an iPad or Tablet stand, there is only so much that can actually impress a consumer. Cooler Master was definitely able to make the Cube a noteworthy tablet stand not only because of its high build quality and performance but also because of how it looks. Since the Cooler Master Cube only costs $35, you cannot go wrong with picking one up.